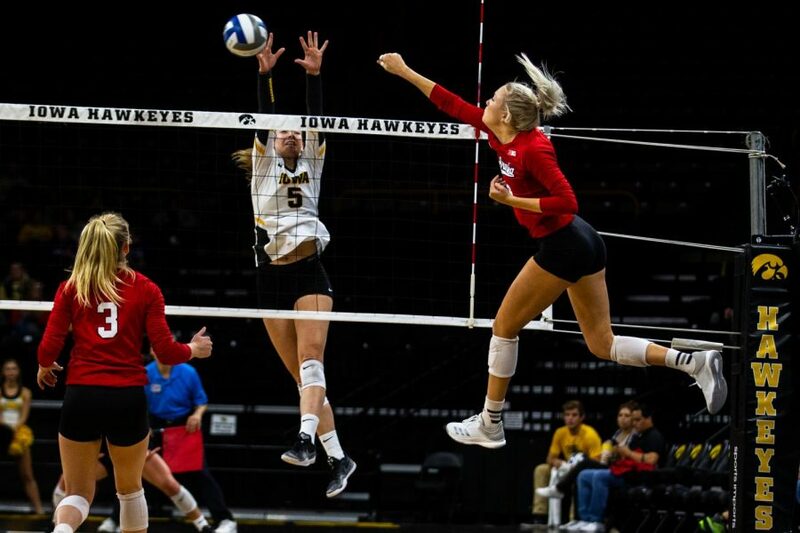 With the season-ending injury of standout Cali Hoye, Iowa volleyball struggling to find its identity and purpose. 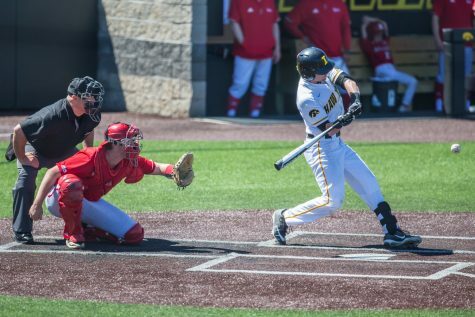 The Hawkeyes hope to defeat Michigan State this weekend and set itself up for a successful end to the season. Outside hitter Meghan Buzzerio jumps to block a spike during Iowa's game against Nebraska at Carver-Hawkeye Arena on Nov. 7, 2018. 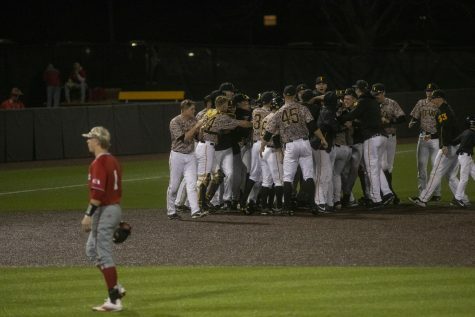 The Hawkeyes were defeated 0-3. Iowa volleyball is headed to East Lansing for a second meeting with Michigan State on Saturday night. After dropping a match via sweep to Nebraska, Iowa is looking to rebound in the match against Michigan State. 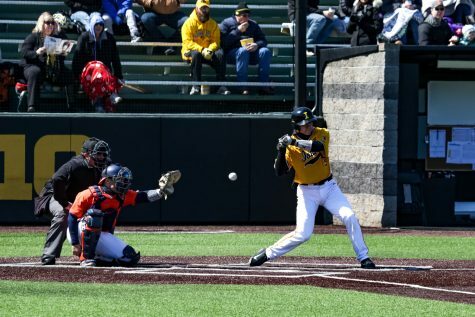 The Hawkeyes saw considerable success in the first matchup against the Spartans earlier this season. 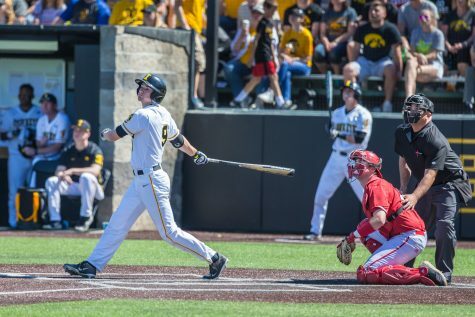 Iowa was able to sweep Michigan State in that first meeting. Hitters Cali Hoye and Taylor Louis tore up the Spartan defense, combining for 20 kills on the night. This match will be different. 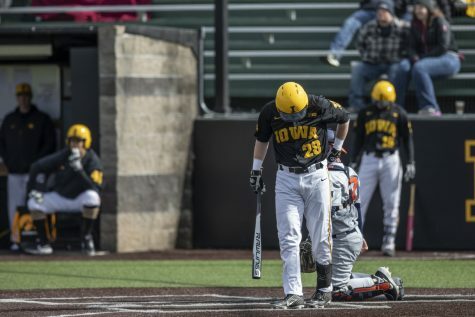 Iowa has struggled lately, especially with the announcement of Hoye’s season-ending knee injury earlier this week. 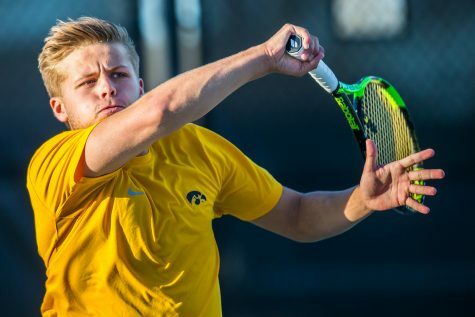 Because of injury issues and other roadblocks, the Hawkeyes have dropped seven of the last eight matches. The Spartans have also been somewhat lackluster in recent weeks. 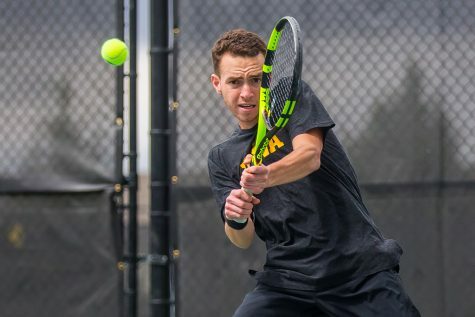 A win against Ohio State this week broke a seven-match losing streak. Still, Michigan State has been able to garner up some positive production this season. The team is third in both service aces per set and blocks per set, coming off the backs of high-producers Naya Gros and Elena Shkylar. 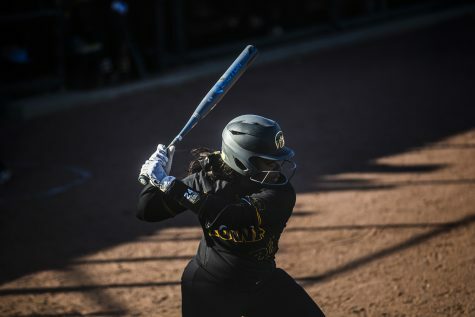 The team is very young, so they are hungry for some improvement in the Big Ten. Iowa has a lot of work to do, especially with filling the massive vacancy left by Hoye. 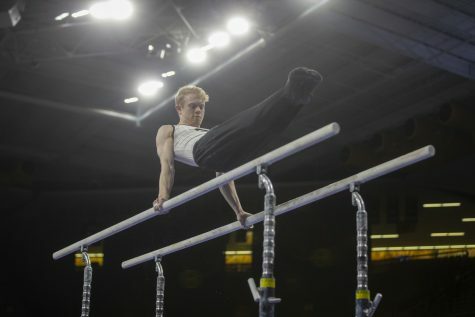 The Hawkeyes showed some aggressiveness and ability in its recent match against Nebraska, the first after Hoye’s departure. Reghan Coyle and Louis made some noise and stepped up, combining for 20 kills on the night. 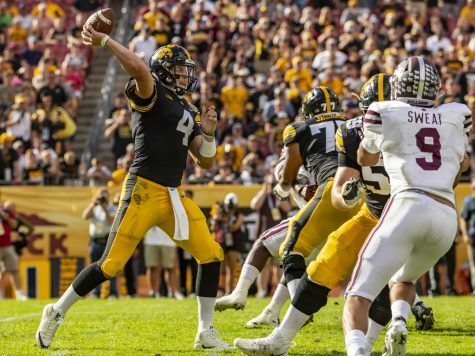 This is a very important weekend for the Hawkeyes. They are still working hard to find what their season’s purpose truly is. Head coach Bond Shymansky still has much belief that they can walk proudly over the finish line of the season.